POP is extending to include electronic editions of penny bloods encoded following TEI standards. Translations are presented side-by-side with the source text. In this layout, clicking on any portion of either text highlights the corresponding section in the other text. 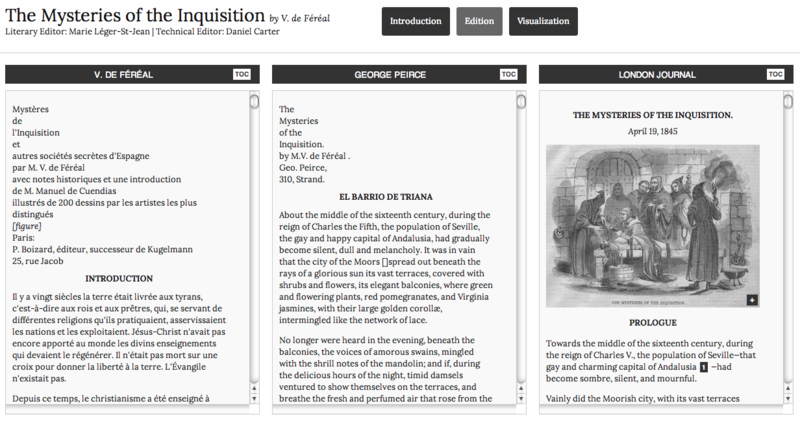 The first case-study brings the text of Les Mystères de l'Inquisition alongside two different penny translations of the French novel: George W. M. Reynolds's translation in the London Journal and the edition published by George Peirce. It was designed by Daniel Carter and features an introduction and explanatory footnotes by Marie Léger‑St‑Jean. 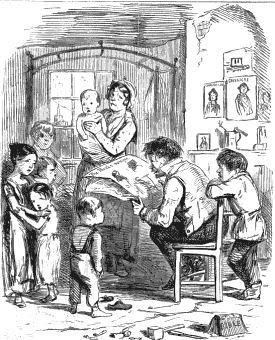 Penny bloods are often multi-layered texts: cheap commercial products hoping to sell as much as possible, translations or adaptations of previous texts which themselves had a particular take on the reality they were depicting. 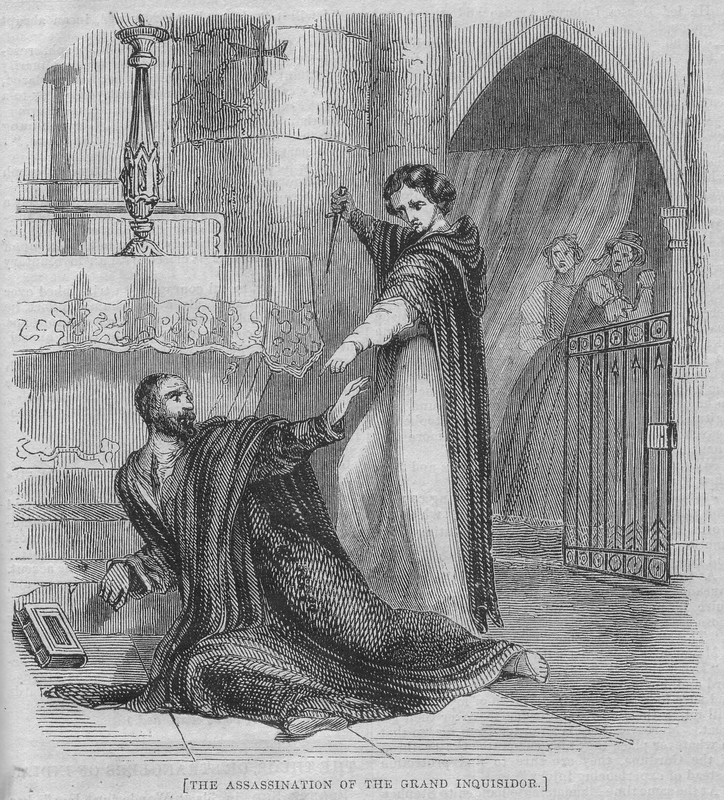 The edition identifies the exagerations of the French authors and those of George W. M. Reynolds, the translator. There is also a static version bringing only the text of the London Journal 's translation of "The Mysteries of the Inquisition", complete with introduction and notes.